Let’s start with the expected. Standing on the huge fortress walls of Dubrovnik Old Town, you really do feel like you’re in the middle of a Game of Thrones medieval fantasy epic. 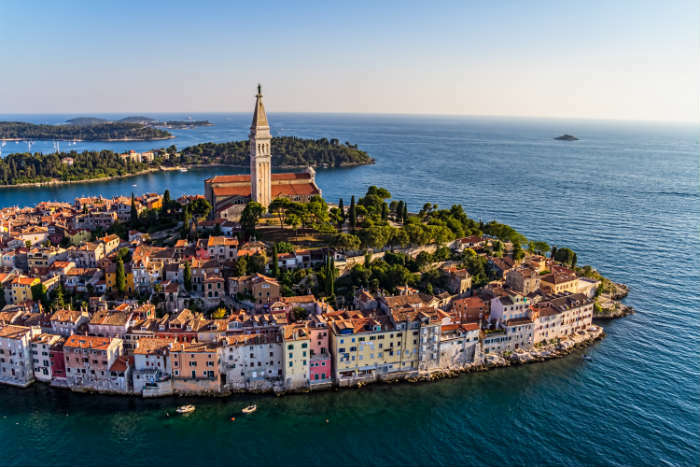 The terracotta roofs, Baroque churches and narrow cobbled streets all contribute to the sensation that you’ve been transported back in time, and a cable-car trip to the top of Mound Srđ rewards you with breathtaking views of the surrounding ocean and countryside. 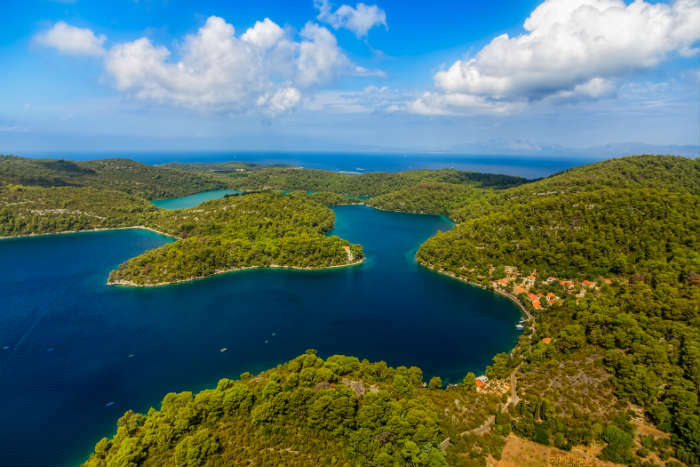 Just a short ferry ride from Dubrovnik is Mljet, a stunning national park recognised for its lush green landscape and glittering saltwater lakes. 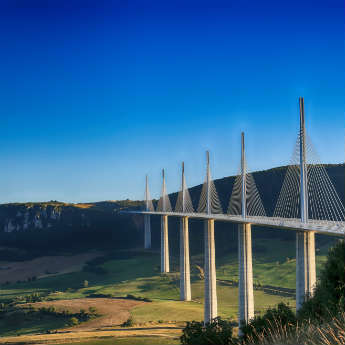 For adventurers this is the destination of choice – a paradise of hiking trails, biking routes and watersports. It’s also known for its wineries, so make sure you drop by one for a leisurely afternoon tasting session! 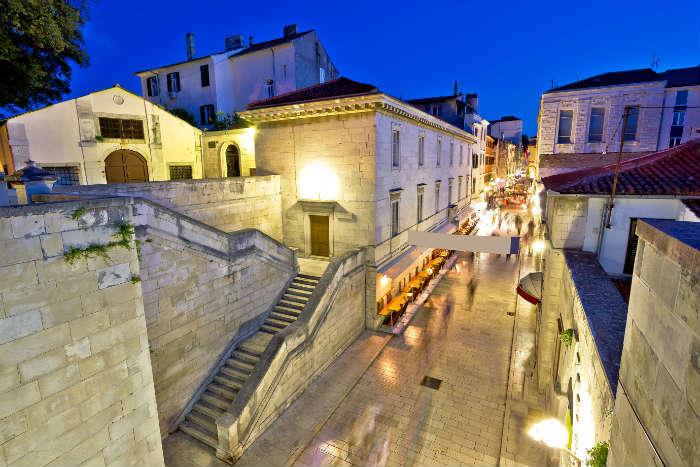 Split is another amazing medieval city, its old town a tempting maze of quaint, crumbling streets and dramatic Gothic architecture. The heart of the city is the Diocletian’s Palace, a stately ruin of white marble that has become a living, breathing part of the town around it. 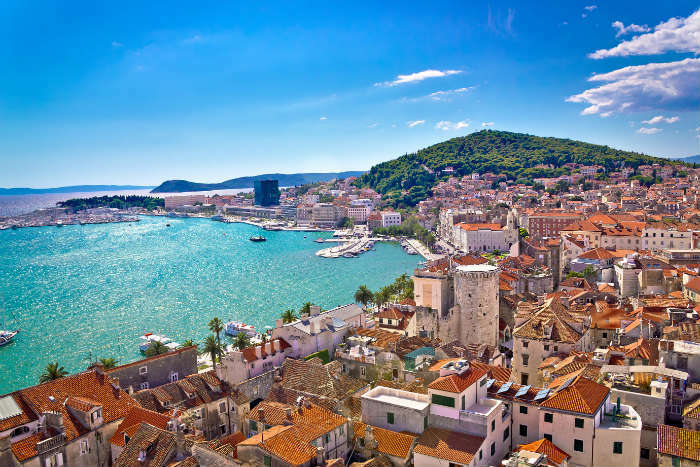 A lot of people who come to Split use it as a base for island-hopping; the best plan for a week-long holiday is to kick off with 2 days or so in Split before heading out to nearby Brac, Hvar and Korcula. 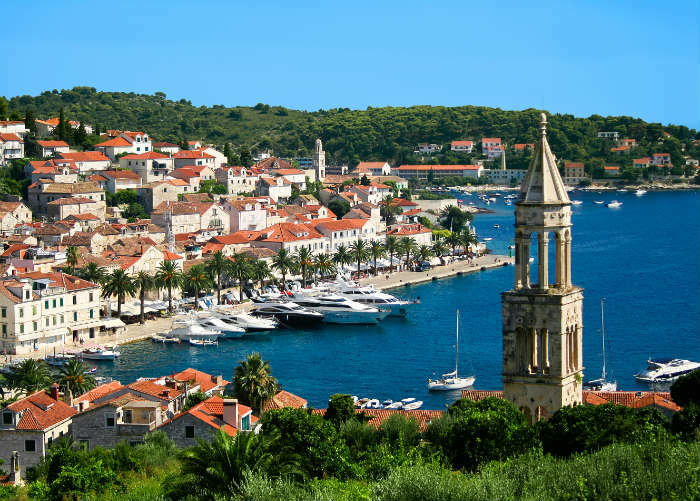 Hvar island is the ‘place to be’ of the Dalmatian islands, a favourite haunt of celebrities and millionaires where the harbour is regularly filled with gleaming yachts. Don’t be fooled by its exclusive reputation though – Hvar is also popular with the backpacker crowd and young groups looking for a good party. 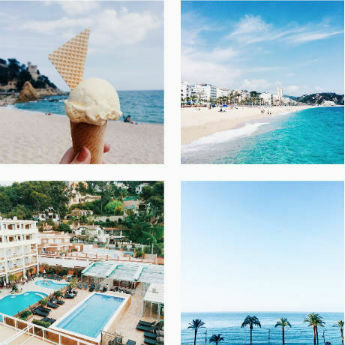 Be sure to spend at least one night here; half the experience of Hvar Town is scoring a table at one of the top restaurants or partying with the other night owls at Carpe Diem. Zadar is a highly underrated city on the Dalmatian coast that actually has a lot to offer, and is a good base from which to visit Plitvice Lakes. The old town has beautiful ancient ruins and churches just waiting to be discovered, and the town’s small size gives it a very intimate feel. The big talking point of Zadar is the Sea Organ, a musical experiment where holes and tubes built into the steps by the ocean produce organ-like sounds as the waves roll in and out. 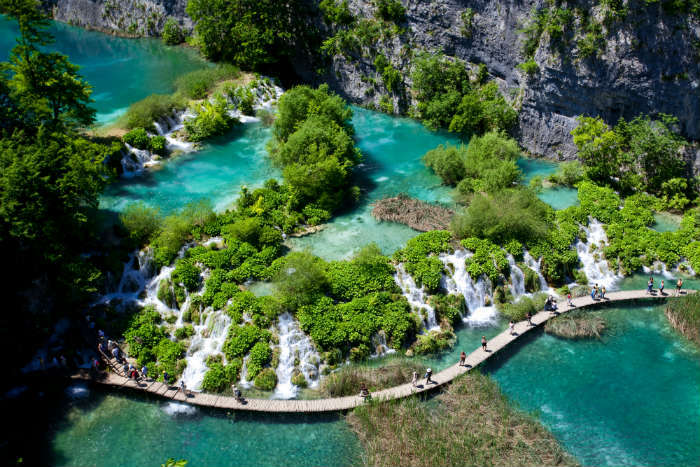 If you’ve only seen one photo of Croatia, it’s very possible it will have been of Plitvice Lakes National Park. The national park is made up of a spectacular network of lakes and waterfalls, and the most remarkable thing about it is the deep green-blue colour of the water, that seems to change shade depending on the light and the minerals in the water. Visitors can explore the whole park via wooden walkways that are built over the water. 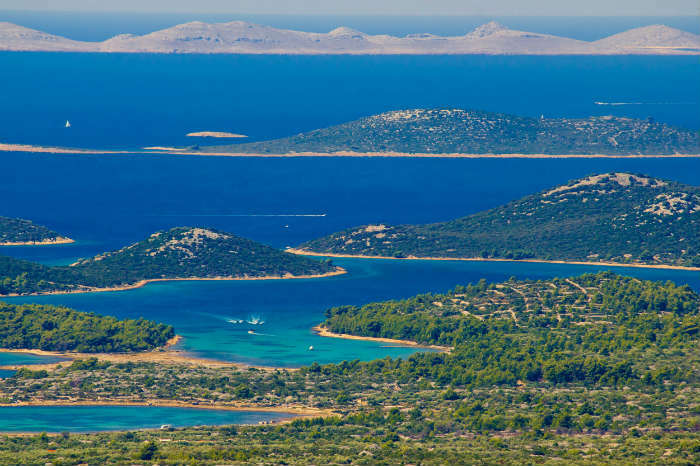 An ideal day trip from Zadar, the Kornati islands are best known as one of Croatia’s premier scuba diving spots where you can find bright coral reefs and countless species of colourful fish. The archipelago is made up of around 140 islands, many of which are uninhabited, and from Zadar you can book a daytrip of the islands on a large boat tour or by speedboat. 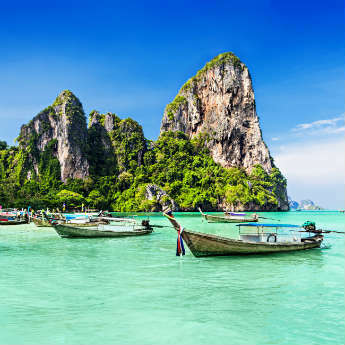 Opt for the speedboat if you can; the groups are far smaller and you can properly enjoy the idyllic beaches in peace. 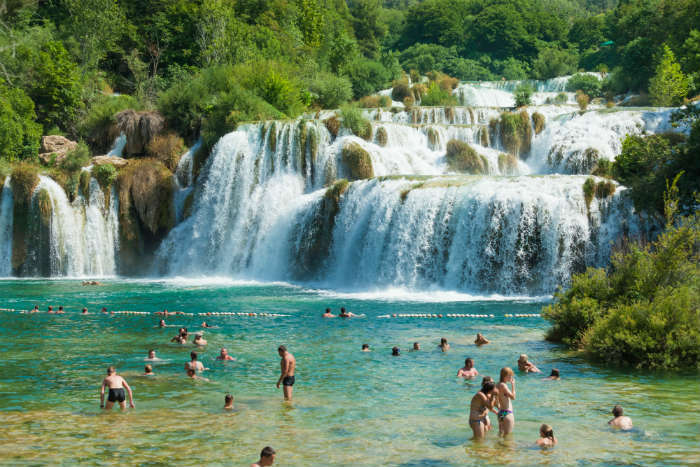 Plitvice’s rival in driving distance of Zadar is Krka National Park, arguably not quite as jaw-dropping but preferred by many visitors due to the fact that you can swim in the lakes. Of course this means that the water is not quite as clear, but a refreshing swim in the pools does provide a fun break from the heat, not to mention great photo opportunities for those taking a dip! This quaint fishing town on Croatia’s northern peninsula is fairly unknown to British visitors, but it’s a secret you’ll be glad you found out! The colourful houses and cobbled streets quickly seduce visitors, who come here to experience a slower-paced way of life. The town has a lovely harbour, a bustling art scene, and is surrounded by woodland where visitors can go walking in the countryside. The capital is often overlooked, possibly due to it being the only Croatian city that isn’t on the coast, but it’s a serious contender for a city break in Central Europe. It’s a colourful and charismatic city, full of interesting museums, medieval churches and parliament buildings. 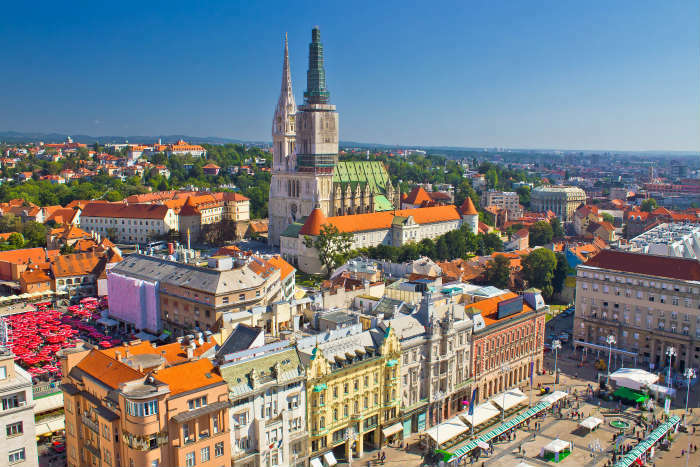 In terms of prices, Zagreb is as affordable as Prague or Budapest, so prepare to eat and drink like a king on a very modest budget. Feeling inspired? 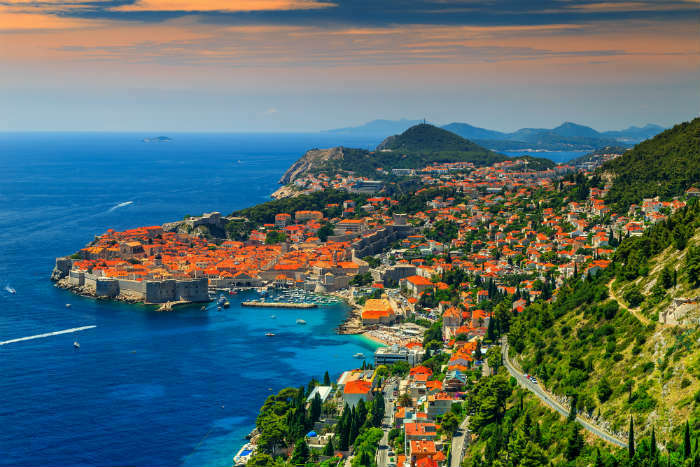 Find out more about Croatia and start your holiday search today!